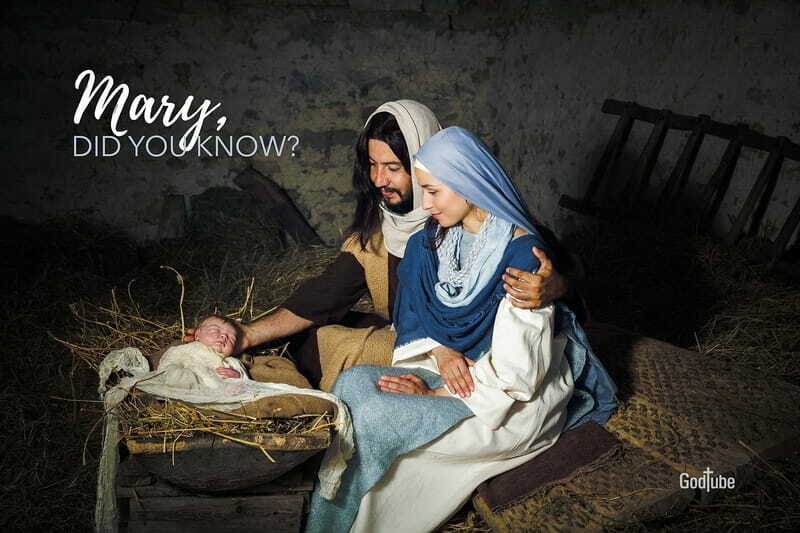 The moving Christmas song, 'Mary, Did You Know?' is a favorite for many people. This video playlist of the top performances of this Christmas classic will surely warm your heart. Imagine if you were alive back when Jesus, Mary and Joseph walked the planet. If you were there when Jesus was on earth performing His miracles, and you lived in Mary's town, what might you have asked her? We all know the story now. We know how God sent the angel Gabriel to Mary to prepare her. Today, we know that yes, Mary knew the important role she had. She was told how important her son's birth would be. In short, the answer to 'Mary Did You Know?' was yes, she knew. But back then, people probably didn't know that. 34 Mary said to the angel, “How will this happen? I have never had a man.” 35 The angel said to her, “The Holy Spirit will come on you. The power of the Most High will cover you. The holy Child you give birth to will be called the Son of God. 36 “See, your cousin Elizabeth, as old as she is, is going to give birth to a child. She was not able to have children before, but now she is in her sixth month. 37 For God can do all things.” 38 Then Mary said, “I am willing to be used of the Lord. Let it happen to me as you have said.” Then the angel went away from her. Singer Mark Lowry was born in Texas in 1958. His mom was a singer, pianist and songwriter. After Mark graduated from Christian college Liberty University in 1980, he went on to become a comedian and popular Christian singer. Mark shared that the idea for the song came to him when he was writing a Christmas program for Jerry Falwell in 1984. As I wrote the 'speaking parts' I began to think about Mary. I have always been fascinated with the concept that God came to earth." Mark said. He went on to recall a conversation he had with his own mother about Jesus' birth where she said, "If anyone on earth knew for sure that Jesus was virgin born--Mary knew!" Mark shared how that statement struck him profoundly. Mary knew her child was extraordinary. Mark spent the next seven years tweaking his lyrics and thinking about what he would have asked Mary if he'd met her. Then in 1991, he asked a friend, Buddy Greene, to write music to accompany his lyrics. Buddy thought about what the music should be for about two weeks before the answer hit him. He sat down to write them and the music flowed. He finished in a mere 30 minutes. The two recorded the song, which has since gone on to be one of the most beloved modern Christmas songs. Many famous musicians have gone on to record it. Here are a few of our favorites! The Reliques - Christmas Mashup - Mary Did You Know - Joy To The World and More!